Hours of bone-crunching zombie action with 100 paths and 50 endings to choose from. Inside these pages lies unspeakable horror. Bloodsplattering, brain-impaling, flesh-devouring horror. You’ve probably read your fair share of zombie stories. But this time it’s different. No longer can you sit idle as a bunch of fools make all the wrong moves. All hell is about to break loose—and YOU have a say in humanity’s survival. In Max Bralliers Choose-Your-Own-Adventure book, you're a 25 year old male in Manhattan. And it's time for you to take control. 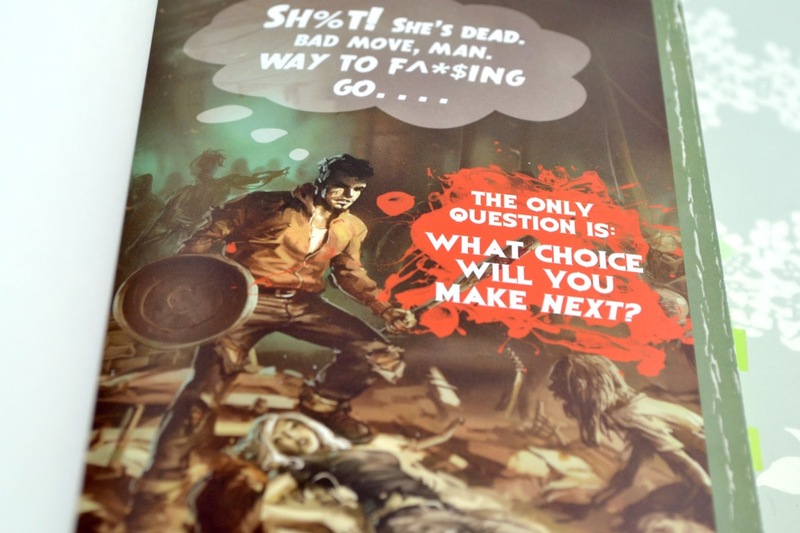 Much like the Walking Dead video game, every decision has consequences down the storyline. But it's more obvious than the game, where every little thing might come back to bite you. The decisions can be a little ham-fisted with their obviousness of good/ bad/ silly. There was definitely a lot of enjoyment to get out of this book though. I liked a lot of the secondary characters that were introduced- from the Hells Angels to the childhood sweetheart. It really did vary wildly depending on what path you took, but there was probably 4-5 main branches of the story that then had their own offshoots. 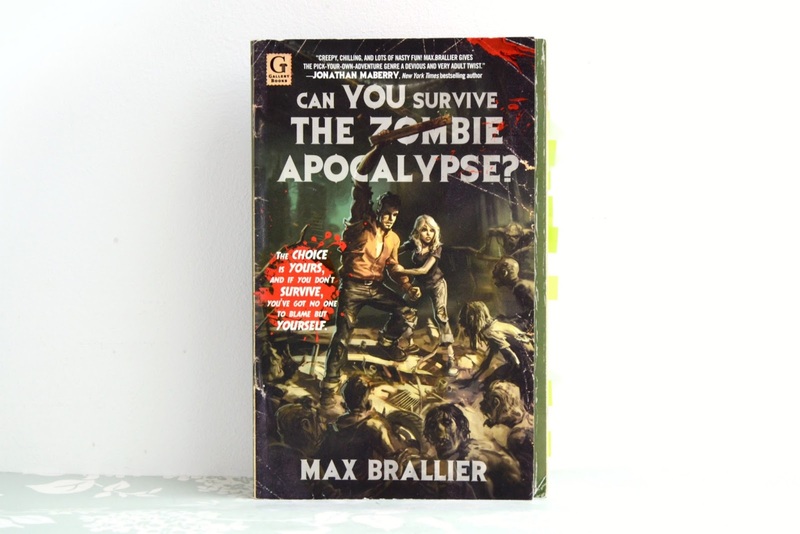 I would've liked a little more fear- the writing didn't really hit that note for me, and a little more of that long-run survivalist side to zombies that World War Z by Max Brooks does so well. But hey! Overall, this was a fun read! But a tricky one. If you're like me and want to know how every storyline ends then I recommend you arm yourself with some sticky notes and a method of keeping track. For that reason, I'm not sure I'll be looking out for more of this style of book. At least not until I read one of those infuriating books where every choice the main character makes is so obviously wrong and I need to take back some control! As the book says; "no longer do you get to sit back and watch as a bunch of fools make all the wrong moves." To stay alive you need to think. One mistake, you're history. And not the good history- not the kind that ends up in a middle school textbook- the bad kind, the forgotten kind. Have you read a Choose-your-own-Adventure book?